I have been working at Oyster Worldwide as Destination Manager since November 2010. I joined after a few years of travelling and working overseas, experiences which I still cherish today. My travelling spirit started whilst I was at university. I studied French, German and Spanish at the University of Exeter, UK. Studying such a combination of languages inevitably opened me up to a passion for different cultures, foods and societies. I spent a lot of my student days casting an eager eye over easyjet and Ryanair websites. In my third year of university, I took a year out to do a journalism internship in France. For 18 months I lived and worked in Nice, where I fell in love with all of the possibilities that travel can bring. Although daunting at first, I loved the challenge of working in French, making friends from scratch and exploring the country around me. It felt so novel to live in a country where you could cross to many others overland! I completed my degree in the summer of 2009. I was very pleased to have graduated, as although I loved university life, I was exhausted by the amount of studying. I graduated without any idea of I wanted to do next or for a career. So I decided to take some time out. 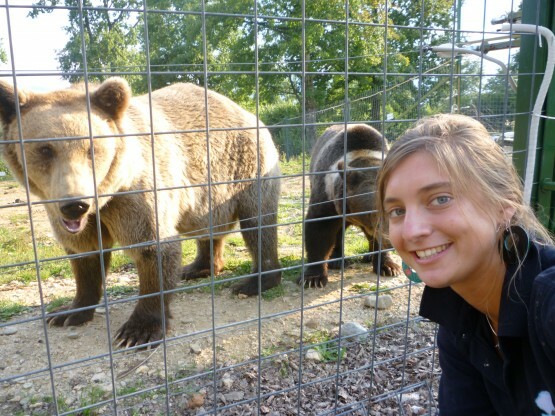 I had stumbled across Oyster Worldwide at a careers fair, and had been captivated by the idea of volunteering with bears in Romania. Bears have forever been my favourite animal, and I have supported World Animal Protection‘s fight against animal cruelty for as long as I can remember. I didn’t hesitate to sign myself up to three months of volunteering with bears in Romania. From August – November 2009 I was living in the volunteer flat in Brasov. Every day I went up to the sanctuary, and worked so closely with the bears that it felt like a dream. I can honestly say that I loved everything about those three months. I loved the people, the food, the stunning countryside, learning a new language, the bears, Eastern Europe, the mountains, Brasov…. my time in Romania is honestly the best thing that I have ever done. o come to a close, and soon I found myself back in France working at a hotel in the ski resort of Val d’Isere. I had been given a job as the translator of the hotel, coupled with a bit of restaurant and chalet work along with it. Although the work was hard, I managed to ski for at least a few hours a day. I skied so much that at the end of the season I had panda goggle marks. It proved to be quite a talking point in the job interviews I attended afterwards! Throughout my ski season I had maintained a close relationship with Oyster. With a background in writing, I had written countless blogs for them and given them lots of my photos of my time in Romania. When I returned from my ski season, I got in touch with Roger to see if there might be any job opportunities opening up. Miraculously, there was. And I was delighted to get the job. 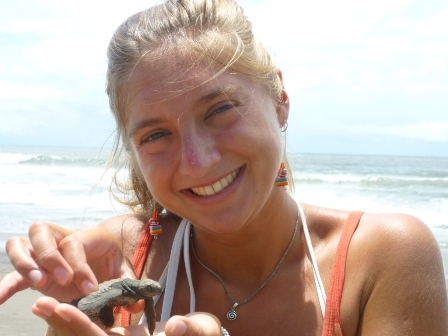 My first role for Oyster was to go to Costa Rica in September 2010, where I helped to set up the turtle conservation project which we still run today. For 5 weeks I worked tirelessly as a turtle volunteer, working on 4 beach sites across the Pacific coastline. Releasing the baby turtles out to sea was such a moving experience for me. Other highlights did of course include seeing the beautiful sunsets, integrating with the locals, exploring the area and even learning to surf. I have not been back on a surf board since! I formally started working in the Oyster office in November 2010. 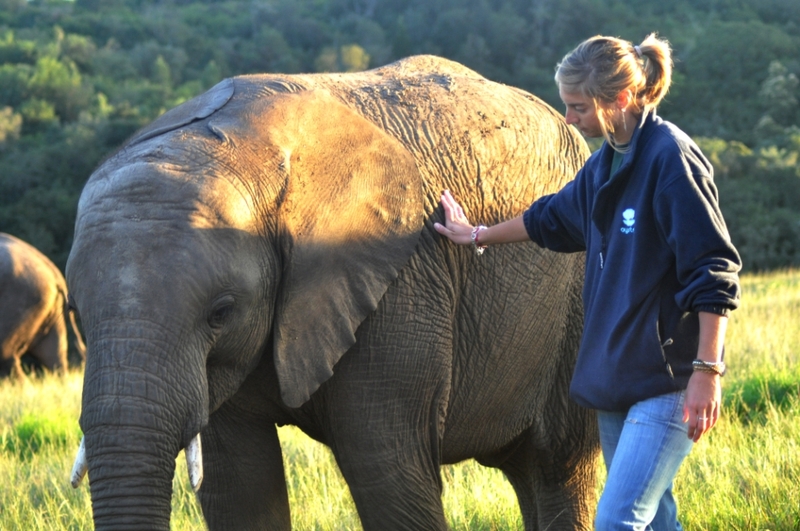 Since then my role has grown as the Destination Manager for all of our animal welfare projects. I also recruit people to work on farms in the Australian Outback, to coach sports in South Africa and to work with neglected children in Romania. About once a year I visit our projects, which is one of the favourite parts of my job. In 2012 I went to South Africa. This year I was lucky enough to go to Thailand and back to Romania for the first time since my gap year. Aside from the occasional travel, it is everyday a motivation for me to be helping people to realise life-changing experiences, and hearing all about it when they come back.